This is a practical guidebook about cyclopropanes that thoroughly surveys derivatives and transformations, synthetic methods, and experimental efficiency as a gateway for further research and development in the field. Oleg Kulinkovich was the head of the Department of Organic Chemistry from 1993-2003 and the head of the Laboratory of Organoelement Synthesis at Belarusian State University and visiting professor at Tallinn University of Technology. His seminal work on titanium-catalyzed cyclopropanation of carboxylic esters with Grignard reagents bearing β-hydrogen atoms (Kulinkovich reaction) is very well-known. 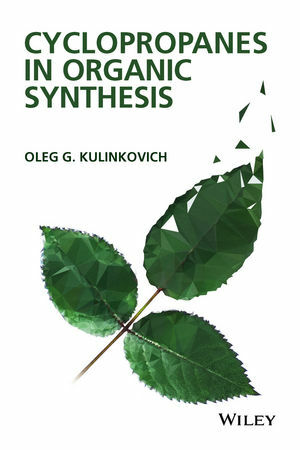 Dr. Kulinkovich has published several reviews and original articles on organic synthesis in leading international journals.